Pacific Power obtained a BPA decision backing its arguments. Pacific Power seems to have scored a big point in arguing against the proposal that Millersburg expel the utility from the city limits and form a municipal electric utility instead. 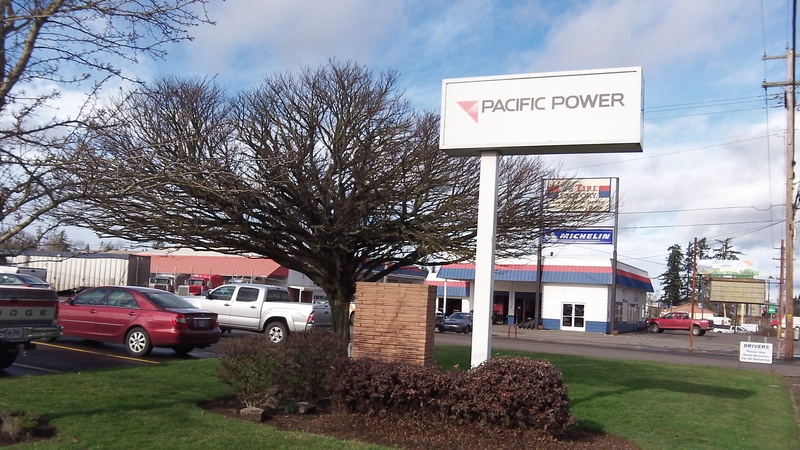 On Wednesday Pacific publicized a ruling it had obtained from the Bonneville Power Administration, a ruling that makes it unlikely that Wah Chang, the main Millersburg industry, would be allowed to benefit from the switch. Pacific had made this very point before. It claimed that under the Northwest Power Act, Wah Chang was not eligible for the cheapest tier of power sold by BPA. On March 7, BPA Administrator Elliot Mainzer issued a letter that stating that Wah Chang”s electric load was a “contracted for or committed to” load of Pacific Power as of Sept. 1, 1979. The date is significant under the power act, which among other things tried to extend the benefits of low-cost hydropower sold by BPA to residential and farm customers in Oregon. The act also included a section intended to prevent large industrial loads from getting around the intent — to benefit residents and farmers — by getting the low-cost power from newly formed publicly owned utilities. It was Wah Chang that initiated and is paying for Millersburg’s study of forming a city electric utility. If it can’t benefit by getting power for a lower price, there is no point in the company’s effort. Chances are Wah Chang will find a way to challenge the BPA determination, even though according to the material issued by BPA, it is well documented by written evidence and an examination of the Murder Creek substation, which serves mainly Wah Chang. I missed this weeks Council Meeting but have attanded others and voiced my opinion on this Power proposal. This is all about what is best for Wah Chang not what is best for the City or it’s residents. I asked the City Council to pledge to stop holding private meetings, they would not. I asked twice that the final decision be put out for public vote, they would not comit to this and the wording of materials imply that the Council will make the decision. Wah Chang has been attempting to get cheaper power from Pacific Power after old contracts expired. They have sued PP several times and lost. They took it to the Oregon Court of Appeals and lost (Courts are ruling on the side of Pacific Power)…they cant get their way through the COurts so then they try to coerce Millersburg into starting a City Public Utility and seizing Pacific Power’s assets. Lets not forget a few months back Wah Chang was fined $575,000 by the Feds for illegally transporting hazardous and explosive chemicals through the City. I cautioned the Council to be careful who they may be getting into bed with here. The Council seems to be hell bent into pushing this forward. The Council should have consulted with the Citizens of Millersburg before ever moving forward with studies and so on. The study has been paid for by Wah Chang, can we really trust it’s findings ? Apparantly Wah Chang uses 65% of all power in Millersburg. Lets say the City goes through with this and down the road Wah Chang closes… a loss then of 65% of the revenues coming into the Utility. Who makes up the difference now ? The taxpayer and the residential utility bills ! Lastly, it is also my understanding that the main reason Millersburg became a legal City was to annex in Wah Chang into the City to rescue it from Albany annexation and Albany’s higher tax rates. It just appears that there is too much of a relationship between Wah Chang and the City. The residential taxpayers in town need to wake up, voice their opinions and stop this. Another issue here is the cost. The City is now paying for a review of the Study. Sorry Council…I dont trust the results. The City is looking at taking on a 14 million dollar project here. With upgrades to equipment it could push 20 million. The council choked at a cost estimate for a proposed generator for city hall (which is actually a good idea where City Hall could then also be used as an emergency shelter), they questioned a $800 bill for light bulb replacements and electrical work and were shocked by the $5,000 each cost for the “Welcome” to the City signs. There are numerous maintenance issues in town that are not addressed or are overlooked. All of this from a City Council from a “Tiny” town with about 1500 population that wants to take on a huge financial obligation. If it backfires or if their is ever litigation…..beware taxpayers ! Lastly, communication. The city continues to hold closed door meetings on this issue. Now at Council Meetings they want an individuals public comment to be limited to 3 minutes. The city’s website should include City Council Members emails and their addresses (since citizens need to give out their address in public meetings) so we can have more communication with the Council.